Wages: Wages vary from location to location. 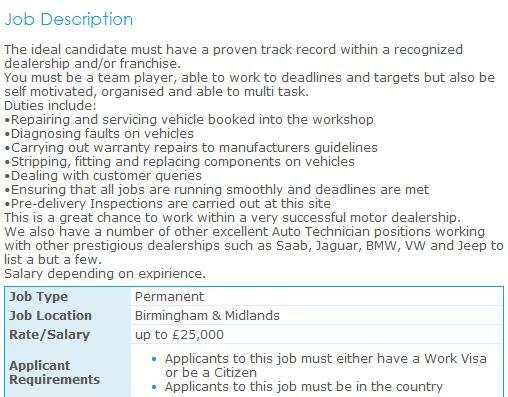 As a guide, a basic Mechanic’s salary is in the region of £10,000 – £12,000. As you become more experienced, you can expect to receive around £20,000 to £25,000. Working hours: The majority of Mechanics work around 35-40 hours a week. Many self employed Mechanics can often work much longer hours than this. "I've used The CV Store twice in the past 3 years and both times they have helped me get interviews based on the CV and cover letter they provided me."